Samsung may have said that they want to reduce their smartphone portfolio, but the company is still busy working on new devices. Not too long ago, the Korean company unveiled a brand new Galaxy A series of smartphone, the Galaxy A3 and A5, and now, it looks like they are working on an E series as well. In fact, the Samsung Galaxy E5 and E7 have been brewing in the rumour mill for quite some time already. Just about a week ago, the full list of specs of both devices were published onto the internet and now, a listing on GFXBench seems to confirm the existence of the Galaxy E series, or well, the Galaxy E7 at least. 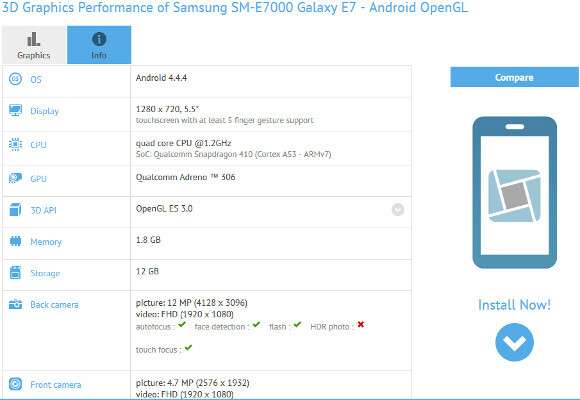 According to the listing on GFXBench, the Galaxy E7 is yet another mid-range device with a large 5.5” 720p display. Powered by a 1.2GHz quad-core Snapdragon 410 processor, the E7 has 2GB of RAM paired with 16GB of expandable storage, and uses an Adreno 306 GPU. Other specs include 12MP rear camera, 5MP front camera, and will run on Android 4.4.4 KitKat out of the box that is upgradable to Android 5.0 Lollipop. As for the Galaxy E5, according to previous leaks, it should have a slightly smaller 5” 720p display and is powered by the same chipset with 2GB of RAM and 16GB of expandable storage. Other specs include 8MP rear camera, 5MP front camera, 2,300mAh battery, and should run on Android 5.0 Lollipop right out of the box. So much for planning to shrink its smartphone portfolio by 30%. Anybody looking forward to more smartphones from Samsung? 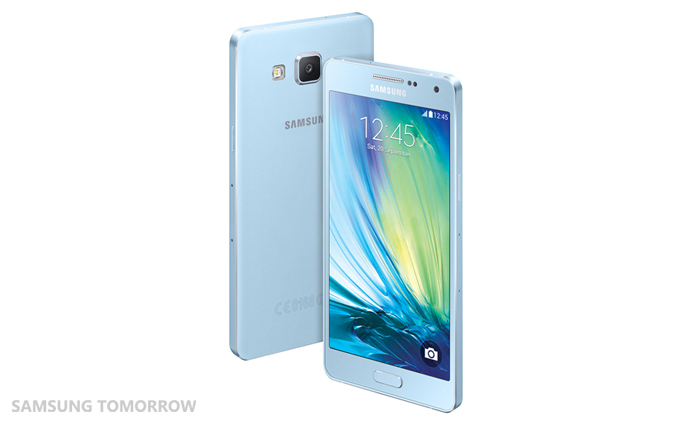 The Galaxy A series features a new metal body that is targeted at the youth, I wonder what this E series is for.